Tinnitus is the presence of sounds with no discernible source. There is no known cure for the phantom buzzing, whistling, whining sounds associated with tinnitus. There are, however, many different and effective ways to manage tinnitus, and in the past a reduction of caffeine was often recommended as one such way. But a new study might be tossing this old guideline out the window. Many websites and physicians recommend cutting back on caffeine to help ease the symptoms of tinnitus. And according to the American Tinnitus Association, 24% of tinnitus sufferers who responded to a poll on their website reported that cutting back caffeine helped ease their tinnitus. 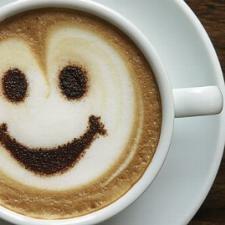 But a new study indicates caffeine intake might actually improve tinnitus, at least for women. The study conducted at Brigham and Women's Hospital and reported on in the American Journal of Medicine showed that women who drank caffeine reported less incidents of tinnitus. The study followed more than 65,000 women for eighteen years. They found the self-reported incidents of tinnitus was significantly lower among those who drank caffeine. According to an article on Science Daily, "Specifically, researchers report that when compared with women with caffeine intake less than 150 milligrams/day (approximately one and a half 8-ounce cups of coffee), the incidence of reported tinnitus was 15 percent lower among those women who consumed 450 to 599 mg/day of caffeine. The majority of caffeine consumed among the women was from coffee and the results did not vary by age." The study reported on in the American Journal of Medicine is described briefly in this video by the AMJMED. Take heart men with tinnitus who also like caffeine though the study didn't cover your gender another study conducted in the UK and reported on by the American Tinnitus Association showed, "The amount of caffeine a person consumed had no effect on the severity of tinnitus." See your hearing health professional or audiologist to learn more about combined therapies for tinnitus relief. If you need help finding a hearing health provider click HERE to be connected with the largest network of trusted hearing health professionals in the nation! Brigham and Women's Hospital. "Caffeine intake associated with lower incidence of tinnitus." ScienceDaily. www.sciencedaily.com/releases/2014/08/140807105434.htm (accessed February 17, 2015).